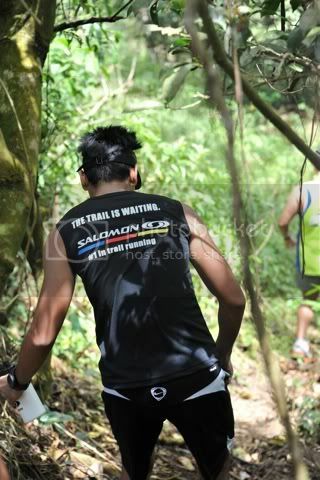 unbeknownst to me, i had apparently been appointed the official photographer of salomon pilipinas, which meant i had to haul my sleepy self to tagaytay highlands for the social media preview of the salomon x-trail run. of course the appointment has little to do with my talent as an events photographer: salomon brand manager janice is a friend of mine. 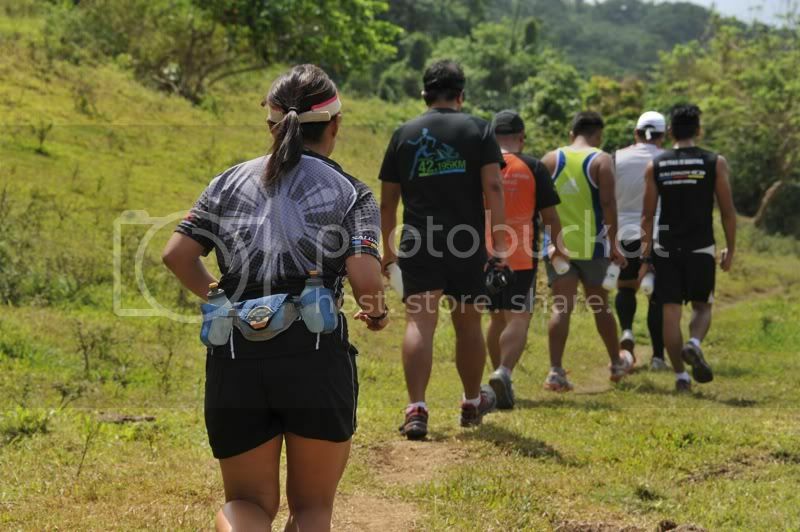 we were there with runners who blog and a few members of the philippine skyrunning association. janice gave us a briefing about the salomon brand and an idea of what the x-trail participants will have to suffer, i mean, experience, come march 31. and this is all i have to say: am i glad that i'm not running this event. i say that because i have almost zero training. i have not had any decent exercise since i made a PR at the half marathon category of the condura skyway run last february 5. i did try to run a little last week, but my 3K was both pathetic and ridiculous. 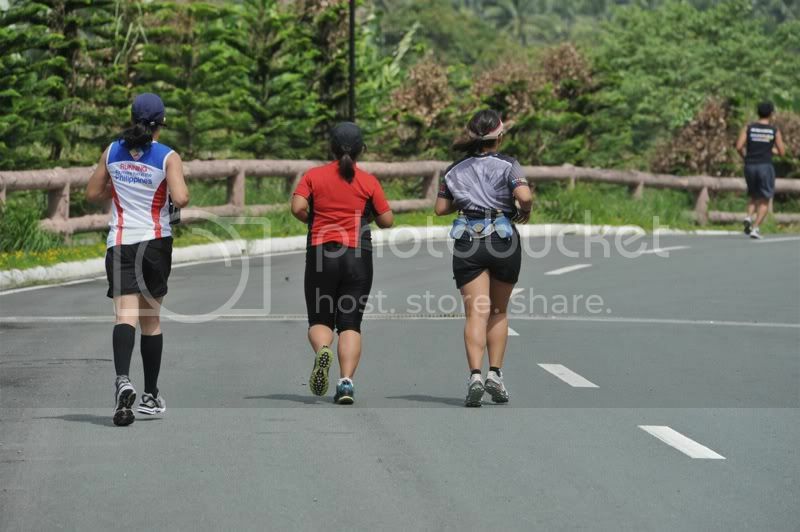 how easy my muscles forget, when in january alone, i racked up more than 50 kilometers. so anyway, it wasn't my first time to be in tagaytay highlands. last year, i did the nathan run and that was possibly one of the most insane races i'd ever done, but also one of the most refreshing, so much that i'd like to do it again this year if and when they stage it, never mind the distance of the race venue from manila. 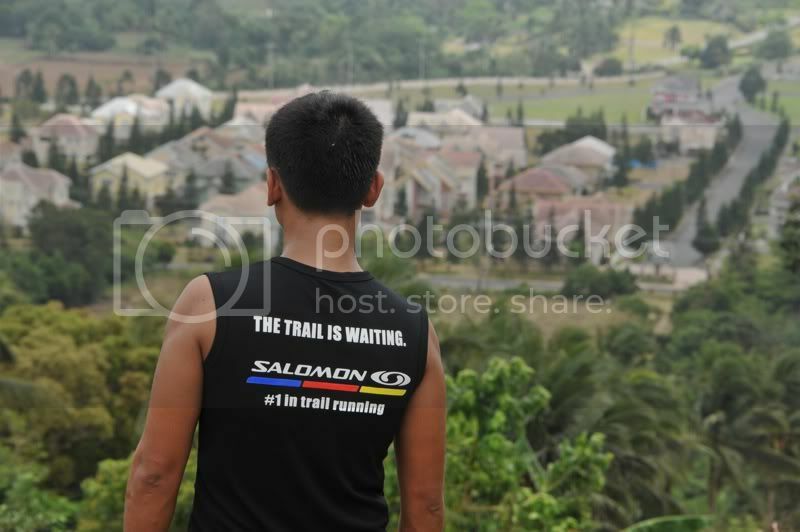 now imagine that level of difficulty, multiplied by rough terrain, and you have the salomon x-trail. the race director said that it was the most difficult trail he has ever plotted, and judging by the short distance we ran (a little over 6K), i worry about those who are going into this trail with the haughty ignorance of a road runner. the bloggers were comparing the course with other trails and they said this was off the charts, and for good reason: other runs try to pass off fire roads as trails. if vehicles, even the off-road types, can pass through them, they could hardly be considered trails. in the salomon x-trail, we have single tracks and steep portions where regular running shoes will simply not do. of course, it's reassuring for the participants to know that ropes will be placed in certain places. and also, runners may not need to hack their way through the trail: the organizers will clear portions where the vegetation is really thick, and to most of the city-bred bloggers, itchy. arm sleeves and protection for your legs may be in order. the preview run got me really exhausted; although i'm supposedly more used to these kinds of terrain, i don't usually run them. and it's really quite difficult to do something like this while carrying a full-frame DSLR and a video camera as well (that i never got to use anyway). i really have to get back into shape since i'm supposed to do the 50 in the TNF 100 late next month. i hope that doesn't leave me limping! tagaytay highlands is a really exclusive development (they wouldn't even sell me a coke because i didn't have a card), and events such as these give us an opportunity to take a peak at the posh playgrounds of the rich. i knew we had cable cars in the country, i just didn't know that one of them was here. but what really surprised me was the funicular train from the main clubhouse to the midlands golf course. 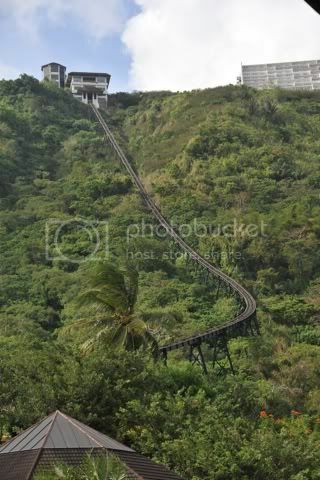 the rails are elevated for the entire part, which made the brief experience even more exciting than the ride up victoria peak in hong kong. we also checked out some of the real estate, which look really nice. it must be really nice here during the colder months: makes you feel you're somewhere else. so some wise words to the salomon x-trail participants from someone who had sampled the route: i hope you're sufficiently prepared and geared for this event. it's going to be a huge event: 1,000 participants! 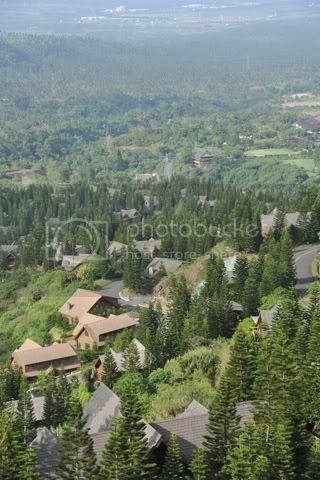 just a reminder from tagaytay highlands: they're an exclusive, gated community, which means you can't just waltz into the venue to check out the race course. you'd have to be checked in, which is only possible because of the event, in order to be able to see the area on the day prior to the race itself. 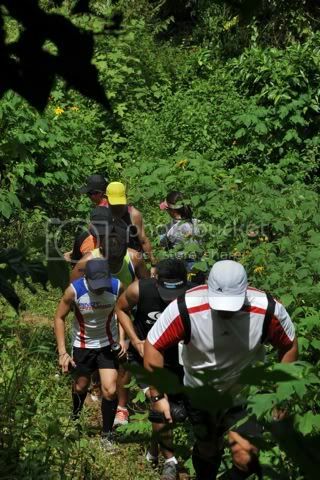 i'm almost certain this event will have most people cursing, swearing, and wanting surrender: the salomon x-trail pilipinas is like nothing most runners have ever done before. i seriously wish all the participants good luck.